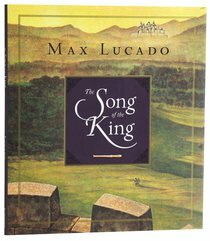 :Freshly redesigned with a new cover, this classic children's tale by best- selling author Max Lucado will enchant a new generation of young people. Follow along as Carlisle, Alon, and Cassidon-three heroic knights-embark on a treacherous journey to win the hand of a beautiful princess. Their only guide on their quest is the king's song-a beacon meant to direct their steps toward the ultimate prize. A powerful illustration of the Christian life, this beloved book will draw children in and teach them important lessons related to endurance, temptation, and the faithfulness of God. About "The Song of the King"